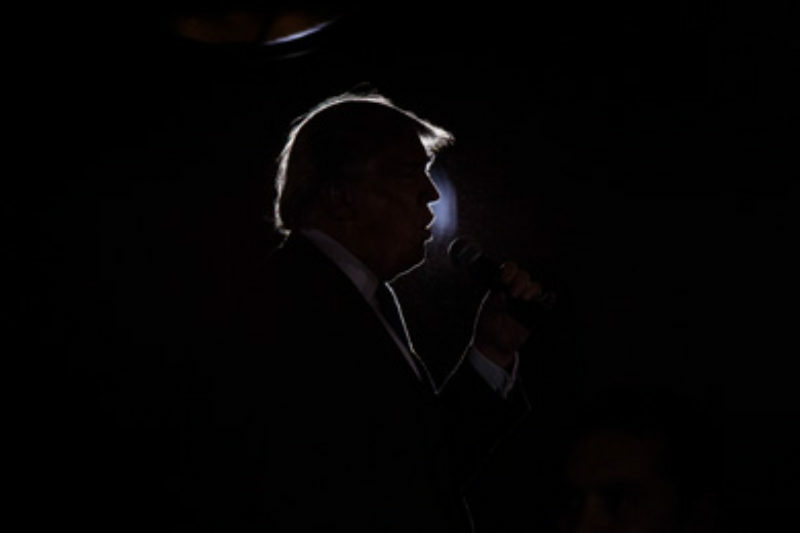 All the way back in March, Dartmouth political science professor Brendan Nyhan wrote a prescient tweetstorm about how journalists and others should call out Donald Trump’s routine violation of modern norms of democratic discourse. ProPublica’s Eric Umansky sat down with Nyhan, who is also a contributor to the New York Times’ Upshot, to talk about what journalists should treat as newsworthy now that Trump is about to enter office. The discussion follows our last podcast, where we talked with Russian American journalist Masha Gessen about how journalists need to begin imagining the unimaginable. Umansky: How should we respond to fake news from the president-elect? Nyhan: I don’t think journalists should give up on, or refrain from, fact-checking when the president-elect of the United States says something that is false. It’s critical to set the record straight, especially when it’s about a consequential policy issue. At the same time, journalists obviously run the risk of being manipulated to chase various shiny objects and steer the debate towards topics that the president-elect would like to focus on and away from ones he would like to avoid. Trump’s Twitter can’t become the assignment desk of the national media. The burden of proof can’t be on the media to disprove every crazy claim that the president-elect makes. The story here is the president-elect yet again made a baseless claim. That is the story. The story is that the president-elect is more factually irresponsible than any political leader in the United States in memory. That’s the story. The details of exactly how this particular claim is false are really, at some point, a second-order concern. These stories have to de-emphasize the claim itself, emphasize the news value of the president-elect being so widely irresponsible. Umansky: What you’re saying is it’s not the lie, it’s the import of the lie. In terms of Trump’s baseless claim of 3 million illegal votes, it struck me that there was a spectrum of coverage: There were some early headlines that didn’t even knock down the claim. Then you had coverage noting that Trump had no evidence. But finally, there was a third category of coverage that flagged Trump’s claim as not merely incorrect but as remarkable and unmoored. That’s what the Washington Post did, calling it a conspiracy theory right in the headline. Nyhan: I think that’s exactly the correct typology. First, it’s simply reprinting the claim. CBS News had an example that circulated most widely of what you’re talking about there. Some poor, recent college graduate was assigned to type up what Trump said within minutes of it happening, and it was written up in a way that just amplified the misinformation. A second set of stories said Trump, without evidence, said X, but that is also a confusing way to present information, when the claim is almost certainly false. It’s possible, of course, that Trump could magically materialize with evidence of millions of illegal votes, but it’s contrary to everything we know about the electoral system. Imagine Trump says, “Lizard people are engaging in secret conspiracies to run the United States.” Would we write the headline, “Trump, without evidence, says lizard people control the United States”? No. There still has to be judgment exercise about whether “without evidence” is the right standard to apply to claims that are almost surely false and for which no credible evidence has been supplied. The correct response exactly that you’re indicating is that third category of stories that indicates that this is a conspiracy theory. It’s false to the best of everyone’s knowledge who studied the issue. It’s widespread and part of this larger effort to create false perceptions of millions of illegal votes and widespread vote fraud that’s never been documented. Umansky: How about we call it the taxonomy of truth? Nyhan: Yes, we need catchy names for all this. I’m assigning that to ProPublica. Listen to this podcast on iTunes, SoundCloud or Stitcher. For more, check out How Journalists Need to Begin Imagining the Unimaginable.